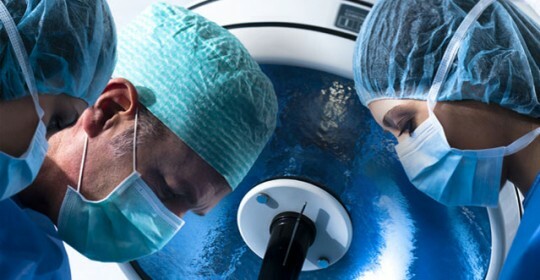 Making a visit to the operating room is not on the top ten lists of things to do in your lifetime. In fact it can be downright scary to be there. The staff in the operating is keenly aware of this fact and they are there not only to participate in the surgery but also to ease your stress level. Pre-Operative Evaluation: This includes getting you ready for surgery with the preoperative instructions from your surgeon, taking the presurgery history, conducting a physical, blood work, x-rays and other testing is simply the first section of the process. Most of these can be done the day before the surgery on an outpatient basis. You will also need to avoid food and drink after midnight the day before. Skin prep: This is the skin washing and shaving of the immediate area where the surgery will be performed to lessen the chance of infection. Shaving is done immediately adjacent or in the operating room to make sure not bacteria do not have a chance to hide in any areas of skin that might have been abraded during the shaving. Bowel prep: Is used for patients having some type of intestinal surgery. The patient is given laxatives or enemas to clear out their bowels. A clear bowel will make surgery easier and increase the healing process postoperative. Bowels do stop functioning for a few days after surgery and it makes you more comfortable if they are empty. Premedication: Premedication is given for a couple of different reasons before a surgical procedure. Sedatives are given to help the patient relax, other medications are given to reduce respiratory secretions to clear the airways for general anesthesia or lower elevated blood pressures Sometimes antibiotics are given to reduce the chance of infection. Pre-op: You may either walk in or be taken in by gurney to the operating table. The nurse checks ID bracelets against their information to make sure you are where you need to be. They will also check to see that your informed consent was given to perform the surgery. Next the anesthesiologists steps up and places electrodes for the EKG that will be running while your surgery is going on. They will also put a blood pressure cuff on as well as an pulse oximeter on your finger to make sure your are getting a good oxygen reading. The anesthesiologist will also start an IV line and any other necessary lines. If you need a catheter in your bladder (Foley) that is generally placed by the surgical team after you are asleep. The room is kept around 70 degrees to protect the patients temperature while they may a large amount of uncovered skin exposed and are not able to react normally due to the sedation. Rooms are kept a little hotter for a burn patients as they lose body temperature faster than most. The entire room, its occupants and materials used have all been decontaminated and sterilized to reduce the risk of infection. It is very bright in the room as the surgeon needs to illuminate the area as much as possible. If at any time you feel discomfort or do not feel “right”, you should voice your concerns to the staff, as it be an indication of something being wrong. the circulating nurse is crucial as they are the only non-scrubbed member of the team who can get the extra items needed during a case, monitor the surgical equipment, and take care of all the required paperwork. Time to begin: Under general anesthesia you will not remember a whole lot of the operation from the moment initial sedation begins. With regional anesthesia (blocks) and monitored anesthesia care (local anesthesia with sedation) you may recall some of what occurred during your procedure. The surgical field is prepared with sterile cloths or cotton sheets while the surgeon, assistant and scrub nurse don their rubber gloves and paper gowns. Once completed the surgery begins. Memory’s vacation: The use of sedatives and even local anesthesia will still make it difficult for a patient to recount the surgery as they create a limited amnesia. If you feel the amount of anesthesia you are receiving is not enough, then you should let the anesthesiologists know and they will accommodate your request. You should never be in pain during any part of your surgery. A busy conclusion: The end of the surgery has the staff moving around to complete all of their post surgery tasks and you are taken to the recovery room. This time maybe a little disorienting as your anesthesia or sedative may be wearing off, although some people remain unconscious for some time after being taken into the recovery room. The surgeon will also give the nurse postoperative directions for your surgical area that will need to be followed by the staff looking after you. Surgery can be an extremely stressful time but a good staff can help you get through it and have a successful outcome.